Something’s not adding up. We’ve got more gyms, more fitness classes, and more health food stores per person in the U.S. than any other country in the world. Yet, we are continuously at the top of the list of countries with the most obesity and chronic illness. Either we just need to make our continent into one massive gym to get this right, or there’s something left out of the equation that we’ve been missing. 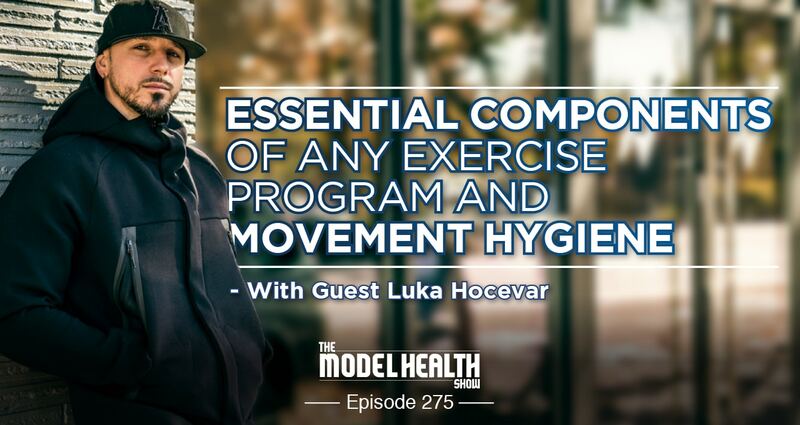 On today’s show, we’re covering what this very thing is with one of the most skilled and well-respected fitness experts in the world, Luka Hocevar. Luka’s story is incredible in and of itself (which you’ll hear on the show). But what he’s doing right now, and the impact he’s making, is flat out remarkable. He’s going to share with you what EVERY effective exercise program must have, whether you’re an elite athlete or a stay-at-home parent who’s just wanting to get in better shape. Plus, you’re going to learn about this ancient old, yet, brand new concept of movement hygiene. And I think it just might change your life. 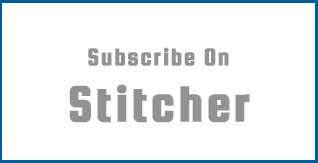 So, just click play, listen in, and enjoy! Which food has every essential fatty acid, essential amino acid, and essential sugar. Why traveling outside of your local area is so important and 3 major things you gain from it. How Luka skated between a parallel life of crime and competitive sports. Why the rise in gym membership rates in the U.S. has hardly made a dent in the obesity rate. Why our culture needs to put more of an emphasis on recovery. How your body budgets its daily energy. The #1 thing you need to make a great workout plan work for you. Why sitting frequently is not the problem. Two valuable mobility drills to do on a regular basis. Why many lower back and disc injuries are due to lack of mobility elsewhere in the body. Why it’s not a good idea to change multiple habits at once. How getting small wins can lead to bigger results. The 7 essential parts of any training program. Why zebras don’t get ulcers but humans do. How training for power can help prevent injuries. The 3 things your nutrition needs to do for you. Which character traits can help you to be successful in your fitness (and in your life). Squatty Potty ⇐ Get yours right here at an exclusive 15% off! Listen, have you ever thought about how today more than ever we've got gyms popping up left and right? We've got yoga studios, we've got the Bar Method, alright? We've got ninja training facilities, alright? We've got so many different things. We've got an immense amount of diet books, right? Cookbooks. Now more than ever there's just a plethora of options to choose from, yet there's a parallel with the greatest time of struggle with disease, with obesity happening at the same time. How is this even possible? We've got access to so much, and yet we've accomplished as a society so little. And today we're going to address that. We're going to talk about what's really going on behind the scenes because I'll tell you right now, one of the big pieces is we're missing the right information. You know, there's so much access to information, but there are some pieces missing, right? Together all of us are trying to put together our own unique puzzle to create our own lives, and sometimes- I don't know if you've ever done a puzzle and you're missing that one piece. It's so annoying! Right? It hurts your heart. Like this one piece is somewhere. And maybe they didn't put it in the box, or maybe one of the kids ran off with it. Whatever the case might be, you want that puzzle piece because it completes everything. Alright? Today we're talking about puzzle pieces. So we're going to be talking about strength, we're going to be talking about mobility, we're going to talk about body transformation, with one of the top people in the game. Before we do that, I want to give a quick shout-out to our show sponsor, www.Onnit.com, because this is where I met this guy. Onnit's not only a powerhouse of nutrition and fitness, but it's a hub of game changing individuals. You know? They've got some of the top athletes in the world training there. They've got access to some of the greatest minds in sport, and in fitness, and in nutrition, all just hanging out there at Onnit. Big shout-out to those guys down in Austin. And so this is where I met this individual, but the reason that I fell in love with Onnit, and I tell people this, if I was to create a supplement company, they do many of the things that I would do. This is the way that I would go about it. They're using earth grown nutrients for their supplements. So they're not using synthetic fricassee fried, boiled steam dried, oil extracted methane gas. I know this stuff sounds maybe a little bit crazy, like what is he talking about methane gas? It's one of the major extraction methods for the common whey protein supplements out there. They're literally using methane. That's explosive stuff, and it's one of the nicknames we used to call whey protein back in the day is gas and blast. But that's not good. That's not good for you. And so we're getting away from all that. That model is old. Today we're really tuning into things that are viable- first of all, grown properly, alright? Organic, fair trade, all of those things that are really important with sustainability for not just our bodies but for our planet and for our communities, alright? So check that box. Also again, earth grown nutrients, check that box. But also the formulations. This is where they really set themselves apart. Right now I'm really digging the recovery protein, alright? This features something that I've been using for years, and I've been telling people about, which is colostrum, alright? Colostrum is one of the most powerful foods known, it might be the perfect food. Alright? This has every single amino acid, every essential fatty acid, every single polysaccharide or essential sugar. You probably never heard- like, 'Essential sugar? I thought sugar was bad.' Not polysaccharides, no. This is a whole different category. Polysaccharides actually help to improve cellular communication in your body, and many of the smart drugs and new kind of frontier looking at medicine, and treating illnesses, are looking at the power that polysaccharides provide. Alright? All of that is in the colostrum, which is just one of the great ingredients that's found in the recovery protein. So we've also got the BCAAs, the stuff that you're looking for. A little creatine is in there. But again, all of this is from earth grown nutrients. Definitely recommend checking them out, alright? They've got different HIT proteins as well, they've got the Shroom Tech Sport, Shroom Tech Immune, they utilize medicinal mushrooms, they've got the Alpha Brain, they've got incredible fitness equipment. Listen if you're not on it, it's time to get Onnit. Head over, check them out. It's www.Onnit.com/model. That's www.Onnit.com/model and you're going to get 10% off of everything. Alright, head over there and check them out, and on that note let's get to the iTunes review of the week. ITunes Review: Another five-star review titled, 'You Leveled Up with Self-Love' by Lori. 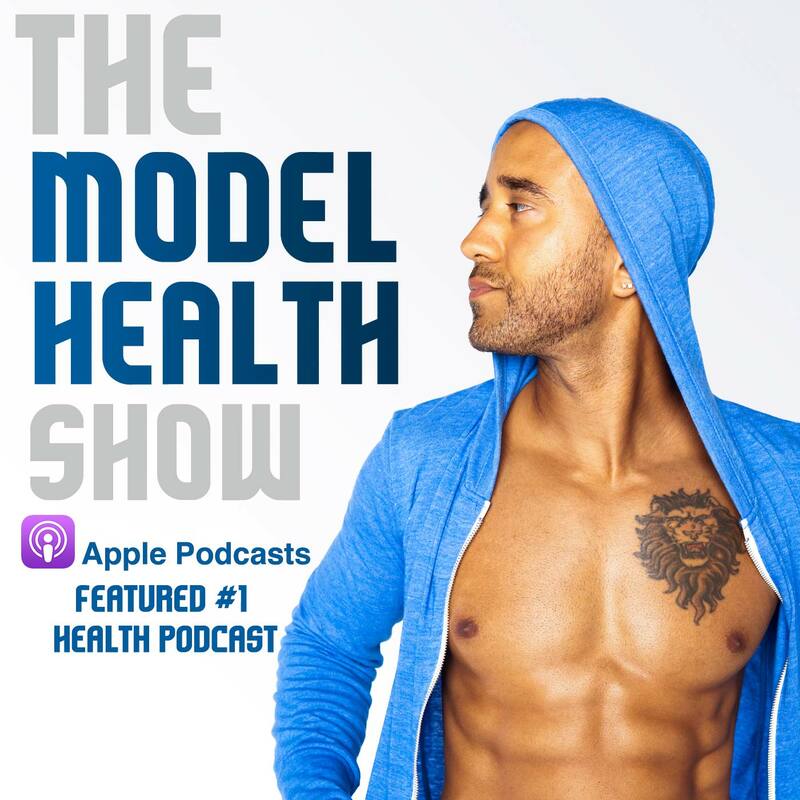 'I have been listening to The Model Health Show for nearly two years now. This by far was the best episode. Your raw and real presentation of your journey as a young man instantly spoke to my heart. As an educator, I try to instill in my students the importance of accepting others just as they are, and to believe that they have the ability to change the world and how others are viewed. Light skinned, dark skinned, female, or whatever label society has deemed representative of a particular group. Your words really affected me today, like on the verge of ugly cry. I believe everyone has a story to share that can help others heal their own wounds. Shawn Stevenson: Wow, thank you so much for leaving that review for me. Wow, I truly appreciate that, and it really does mean a lot because that episode was very, very important to me personally, and the impact has been crazy. I've never seen a response like that. You know, like we're almost at 300 shows, and we do these master classes where we do a show, we really create something that's a definitive guide on the subject matter. And a topic like self-love and self-care is complicated because it's not something that's really talked about in popular media and also just in our culture where it's something that is often just kind of brushed under the table. And to bring some science behind it, and also relate it to our health, and our relationships, and all those things, I think it was a great encapsulation of that. And thank you so much for that acknowledgement. Again, it really does mean a lot for me. And everybody, please head over to iTunes and leave me that review if you've yet to do so. It'll just take a few seconds, and it would mean the world to me. Alright, I appreciate it. And on that note, let's get to our special guest and our topic of the day. Our guest today is the one and only Luka Hocevar, and Luka was born and raised in Slovenia, and gives credit to sport fitness and coaches in taking his life from the streets to playing basketball from high school to the pros, where he also played in Europe as well as the NBA Summer Pro League. It's a dope story, I can't wait to share it. And this led to a life-long passion in fitness where over a decade ago he co-founded Vigor Ground, which is the most successful performance gym in Slovenia. Now after moving to Seattle where he's currently at now, Luka had to start from ground zero working at commercial big box gyms, health clubs, and small gym chains, to starting a garage gym that has become a cult classic in the area now. Man, it's just like- guys, you've got to check him out on Instagram. It's such an incredible gym. And he grew that, which is now known as Vigor Ground Fitness and Performance into what it is today. And it's one of the most recognized fitness performance and transformation facilities in the US, integrating fitness, performance, nutrition coaching, behavior change, physical therapy, a fit bar, and recovery work all under the same roof. Luka and Vigor Ground have been featured in Men's Health Magazine, Stack Magazine, Onnit Magazine, Entrepreneur Magazine, Precision Nutrition, as well as CBS, FOX, and KING-5 as Seattle's top fitness expert. And I'd like to welcome to The Model Health Show, my friend, Luka. What's up, man? Luka Hocevar: What's going on, brother? Shawn Stevenson: Happy to have you here, man. Luka Hocevar: Oh, I'm so happy to be here. Not in the state that I'm even happy to be here. Shawn Stevenson: Yeah, I mean listen, first thing I want to put out there for everybody, you are the most traveled human I've ever met. You know? You're not afraid to like hop on a plane, get somewhere, get in person, and connect. What was the inspiration? Like why do you do that? That's what I want to know. Luka Hocevar: I think you mentioned a word there, is connect. You know it started a long time ago when I really had this drive to learn, and even when I was still in Slovenia we didn't have seminars, we didn't have all this stuff. Right? So I mean, I had to either order books, or DVDs, or whatever. What I started doing was flying out to places, to London, and I'd go to a seminar in New Castle, or I'd fly out to the US, wherever I could. One, to learn, and two, to connect with the people that were doing the things that I wanted to do and what I wanted to know. So then it kind of became when I would do that, I started finding out, 'Man I get so much more from connecting with somebody face-to-face, and going there, and learning by doing versus just staying where I'm at,' and I got hooked on it. And so that became kind of I would say the catalyst for my travel; combining experiences with education. And I think relationships, experiences, education are some of the top three things that you can do for yourself period. I don't care what arena you live in, or your career is in, I think that's one of the greatest things that you can do. So now it's like every opportunity I get, or if I don't have an opportunity, I create on. You know? I'll make it happen. So I travel a lot because of that. Shawn Stevenson: Yeah, I love that, man. I love that about you. You know, I was speaking at an event in Vancouver, right? And you just popped up from Seattle to come hang out with me, and that means a lot, you know? And also of course we get the experience, we get to connect, we get to talk about business, and plans, and impact, and all the stuff that we talk about. And also like just going to that particular event, you know what I'm saying? It's just like I love that you combine all those together, and having education as an underpinning. You know? And I think it's really valuable for people to really like let that sink in, like get yourself in that environment, because there are few things that are more powerful than that. And so again, that's why you're here as well in St. Louis with me, I thank you again for coming out to hang out with me. Luka Hocevar: My pleasure, man. Shawn Stevenson: So let's talk about your story, man. You shared this with me before and I was just like, 'I had no idea!' So Slovenia. Like how did you- like first of all, I want to be real, man. Like you were into some things before you actually made the jump and started to get serious about basketball. Luka Hocevar: Well it was kind of parallel, actually, because I was in sports like most of my life, but I started playing basketball like really seriously at eleven. Meaning every day practice, we're one of the top teams called Olympia. Like five, six, seven days a week you're doing two and a half hour practices. So that was like from the age of eleven. But also, like when I was seven I moved to London, when I came back when I was eleven years old it was like right when the war happened, like post-war. And luckily, you know, Slovenia had a very short stint with the war, whereas Croatia, Bosnia, Serbia, and Albania, that was like a lot of wars. But so in that timeframe, my dad stayed in England, we came back. So it's like I have two older brothers, I have my mom, and I was pretty much like the youngest brother, knucklehead. You know? Back then they would for sure tell me I'm ADHD, give me every pill possible. But really I was just always trying to figure stuff out, I was always curious. I mean I'd go to school, but it was one of those things where I was doing everything else imaginable. And that's what kind of veered me off into some areas that weren't the best for me. But looking back now, I don't necessarily- it taught me a lot, right? So I got into first it was smaller things, but it was crime, and that was actually for quite a while I was involved in that while I was still playing. Right? But at a certain point in time, especially because I would say the most involved I started getting was when I was fifteen, sixteen years old, all the way through eighteen plus, and that's when I was also- I would say the best obviously at basketball. And so many things started happening in that. You know, I went to Eastern Invitational which is basically in New Jersey, and we went with our team from Slovenia. It was supposed to be this, 'Hey we're going to have a great experience to show you guys how stuff is outside, how it is in the US. And I was pumped about it, but I never had the thought process of, 'I'm going to move to the US, I'm going to do college in the US.' Right? And I had an incredible experience there, and one of the coaches say, 'Hey man, have you ever thought about going to college in the US?' And I was like, 'Not really,' because my whole thought process was I'm going to go pro. So in this whole time I'm like, 'I'm going to go pro,' but at the same time I'm also in the streets doing a lot of crazy stuff. And basically when I got back, that year was very crazy for me in all types of ways. I was playing and practicing the most I ever had, but also a lot of things started happening on that side of things with people I knew getting arrested or interrogated. I mean there was just so much stuff going on. A lot of stuff happened to me where I was like, 'Wow okay, like this is real. This is real. Where do I go from here?' You know? And I had this big kind of like realization, and so that coach from Eastern Invitational kept following up with me saying, 'Hey Luka, come up, man. Come up next year, do another Eastern Invitational with me. Come to Denver, train with me.' His name was Wayne Jones. And I came back August 3rd, decided I'm going to go to the US, by September 11th I got all the paperwork, I was flying out. And so we talked about this, September 11, 2001, my plane was supposed to land twenty minutes after the towers got hit, so I ended up having to land- we ran out of fuel, landed in Nova Scotia, stayed there for a week in a military camp, then went up to college. Shawn Stevenson: Yeah, you just coming into America at that moment, like that's really symbolic, you know? Luka Hocevar: Yeah, it was definitely a crazy time, crazy transition. And I don't know, it's interesting to look back, or to reflect back, always see that every one of the struggles and every part of the resistance gave me lessons, and made me better, and made me stronger. But then I started realizing that there are so many- because I started speaking a lot at inner city schools, and doing- we're about to start a scholarship for a youth program to help kids, and when I started sharing stories, so many more people came and talked to me about it. You know, the truth is like when we overcome that, we just become better, we become stronger, right? And we can connect with others as well. Shawn Stevenson: Absolutely, man. I mean, I felt the exact same way. I didn't want people to know about where I came from. Even the review that we had this week, you know, like to share kind of my experience, things that I went through even as a kid, that really- it gives people permission to really know you, right? It gives people permission to also open up and share the things that they're struggling with, you know? I think that's incredibly valuable, man. And you know, especially kids, like if you can't see it, you can't be it. Right? You know? And it's really just a situation where like you're coming from war torn environment, like what options do you have? You know? And many kids in their own ways, they're in a war-torn environment. You know? It's just a different kind of war. And so having those examples, and like seeing your complete 180, and bringing that value now to people's lives. Like man, you're really impacting a lot of people. I think it's incredible. So let's shift gears now, let's talk about- I opened the show talking about how there's more gyms than ever, there's more diet books than ever, but we're sicker than ever. Like we're struggling more with our physical health more than ever. So why do you think that is? Like and this is a big question. Luka Hocevar: This is a big question, and you know what? There's no one- because I don't want to be the guy that's like, 'Well there's this one thing.' Right? Luka Hocevar: But I do want to shine a light on some stuff that I think people are very- they don't know. Okay? And don't quote me directly on this, because I read so many studies and they're not all in my head completely right, structured out. But in the last- I think since '97, since '97 the increase in gym memberships in the US is up 65%. And men train, or are 100% more active than it used to be, and women are about 50% to 60% more active than they used to be. Those are pretty serious numbers, right? But when look at that, obesity has gone right up with it. Cardiovascular health has gone right down, mental health has gone right down. So by these statistics we know that just being more active is not the solution. Right? We're actually more active in the US- we're more active than pretty much every country in the world. And if you look at like Japan has like insanely low activity, and the US only 41% of people are not active, while in Japan it's something like 80% or something like that. Their obesity is 5% and ours is like 31% or 32% or something like that, right? 33%. And you look at other countries like Norway, it's very similar, you see this similar thing where now you start going like, 'Okay there's countries that are less active than we are, but they're healthier.' Right? They have lower obesity rates, they're healthier in every single way. So one of the things that comes across- there's two things that I like to mention, but the first one is the one I don't think that most people really think about, is that we've had this over-exaggeration with- it's kind of like over-reaction to the previous thing. So it went to bodybuilding, to functional training, to now we're in this era of high intensity, like everything is high intensity. We've got to crush, we've got to go, we've got to go. Right? But even though that there's this high intensity training, people are more active than ever, there's no results. And why is that? And one of the things is recovery, and the whole recovery part is a lot of different things. Obviously it's sleep, it's mental stress, it's also how do we- training, there's different types of training. There's aerobic training, there's like lower intensity, there's super high CNS intense stuff like lifting weights, like sprints, like power Olympic lifting, and things like that, there's bodybuilding, there's somewhere in between. Right? But you look at our lifestyles, and our stress is higher than ever, right? And stress is such a big impact, has such a big impact on- put it this way, on whether we're anxious. You know, if you're anxious it can prevent you from sleeping. You don't sleep well, you don't recover as good. Right? And the cycle goes on. And so when we look at that, number one is to ask ourselves is the solution- and I'm in fitness, so I'm the first person to go, 'Hey if you're not doing anything, become active and start training, absolutely.' But there's this whole other- a segment I would say of the equation that people are not addressing, and that's recovery. And you know, I know on your show you've had everything from meditation and from how to recover. I mean obviously nutrition is part of recovering, stress relief is part of recovering, environments and relationships are part of recovering, all these different things. But I think that creating awareness around it is very, very important that more is not better, and we've proven that. And all the research shows that like our body has a finite amount of metabolism that it can build up to, so there's only so many calories that you can burn, right? Period. If you do 10,000 steps, 30,000 steps a day isn't necessarily better, right? If you do one workout, it doesn't mean your second workout is going to allow you to eat that much more amount of food, because we hit a limit. And if you look at how everything is about energy, essentially to our brain, right? Everything is about energy, and our brain distributes energy in different ways. One is for us to live, so we're talking about resting metabolic rate. Like your lungs to function, your digestive system to function, your brain to function. Right? And that's where energy goes first. So if we're using all of the energy in the activity and like stress region, you never have enough to actually rebuild your body. Right? And I think that's such an important factor for people to realize, that if you're having a fourteen-hour day job, you've got three kids, you're sleeping five hours and they're so-so, your nutrition is not on point, like training more, being more active is not going to help you. We drop them down to two days a week at the beginning, and like they wanted to argue with me and like lose their mind, so I'd bring them in another two days a week just to do mobility stuff, and just like move around a little bit and get them sweating. And in the next eight weeks, things changed so much it's like how is this possible? But it's because like there's stimulus, and then there's recovery, and there's stimulus, and there's recovery. And if there's not enough recovery, the stimulus is going to just wear stuff out period. And so I think that's one of the big reasons that's proven and backed up by a lot of data. I think the second one is what I'm insanely passionate about sharing every time I speak, every time I get on somewhere, and that is the part of behavior change. To give you an example, right? Like if we sit here and you say, 'Okay Luka, well here's one of the things I want to achieve. I want to get stronger on my deadlift, and I want to get a little bit leaner,' and so on and so forth. Right? And in twelve weeks I check in with you, and like you maybe did it 30% or 40% of the time. Right? But scientifically proven the best program was right there in front of you, how come you didn't do it? Right? And that's taking- so there's information, and then we want to take the information to integration, and then the integration creates the transformation. 'Well I could definitely-' and they list a couple, right? Now okay, like what's stopping- so they already know the next step. They don't know all the steps, they know the next step, though. Right? In nutrition the person says, 'Well I've got to start drinking more water and eating less processed food.' They know the next step. Why don't they do it? Right? And that's a very deep- we could go down a rabbit hole with that, right? Luka Hocevar: And we could touch on that for sure if you'd like to. Luka Hocevar: But to me, see that's where the magic is, because the best program in the world done 50% of the time doesn't get the results of a pretty damn good program done 80% to 90% of the time. And that process for anything- like any information that you put out, like for nutrition, for supplements, for mobility, for movement, for training, for cardio, for mindset, for anything, the person has to do it. Right? And that's where the glitch is, and that's why I believe the future of coaching and fitness lies in coaches understanding change in psychology and behavior change at really deep levels and how to implement it with clients. Because it's becoming- some people will say, 'Well that's not your wheelhouse,' but absolutely it's every coach's wheelhouse to understand these things. Why? Because our goal is to help people transform for good. So if that's not in my wheelhouse, I'm doing my client a disservice by not understanding it, because I'm basically like, 'I get this, I get that, but what's the bridge? What's the bridge and the gap?' Right? Shawn Stevenson: Yeah, exactly. Man you know, I'm thinking about- see this is why it's the fitness business, you know? Fitness industry, and why there's this revolving door, and I don't think it's necessarily purposeful, it just wasn't taught. Like we're creating dependency, you know? Like for the trainer to continuously have to step in and try to get you to do the right thing, then you disappear, then you do it all over again, versus actually helping people with the psychology. Because you just laid it out there, it's like we know what to do. Everybody knows the basics of like what's two or three things that you can do to be healthier, to be more fit? But it's the actual doing part, right? So we're going to actually circle back, I want to talk about the stuff that actually really matters with the behavior change. But first I want to ask you about- just to give something for people that's really tangible, right? What's one thing, just one daily habit that people can implement to help to improve their recovery, to help to improve their performance, to help to improve their health? Just one- for you, one daily habit that people can implement? Luka Hocevar: So one of the things- I mean you could go a lot of different places with this, but I think that one of the things that's missing that would be humongously beneficial for everybody is just let's call it- for instance, when you brush your teeth, right? You call it dental hygiene, right? But I would say let's call it joint hygiene or movement hygiene, right? So it's a daily movement practice. And what I mean by that- now I do this every morning, and I try to get a lot of our clients whether online or offline to start doing this, and sometimes it takes a little bit, but when they do it it's just like the biggest game changer. Now why? There are so many reasons for why to do this, but think of it this way. When you wake up, we're sitting a lot of the time, our postures are worse than they've ever been because of the 21st century computers, TV sitting, things of that nature. So when you wake up imagine- and I hate to go back to the car analogy, but like if your axle is bent and you keep driving on it, what's going to happen? The car is going to break down faster. So if you're out of alignment and if your joints like are not functioning well, as soon as you wake up, everything that you do that day is going to be basically on a dysfunctional foundation. So if you spent five, maybe ten minutes in the morning just working on movement, and some people call them mobility flow, some people call it mobility. You can give it whatever name. I think mobility is a great name because mobility essentially means- you know, everybody knows flexibility. Flexibility is like how far can I stretch my muscle essentially. But mobility is like how can I control that movement through its full range of motion? So just because I can kick my leg up as high as possible right now doesn't mean that I can bring it up slowly and then hold it there. Right? And that's the passive and active difference between my range of motion. And so imagine that if a person wakes up and they're tight in the hips and they're doing some mobility for their hips, and their shoulders, and their upper back, their thoracic spine, which is for most people very rounded and tight. You've started the day with creating quality foundation for your joints, and that's a game changer. Now apart from that, what happens? You're starting to move. You know, dopamine and norepinephrine, like get nice little alliance, so your brain starts getting more alert. Right? Like even smaller things like that, you're in a better mood, you're more ready to learn, so in the book 'Spark' it talks about how you're able to take in more information and I would say cognitively you're thinking better after just five, ten, even fifteen minutes. 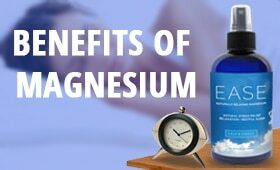 And so why not start the day with something that makes your joints feel better, your body feel better, makes you more alert, and it creates a better foundation for you to go through the rest of the day. Now, the cool thing about it is if you did that just four or five days a week for instance, right? How soon could you start getting rid of the nagging injuries that most people have? I mean eight out of ten people that come into our gym have something going on. Nagging shoulder pain, low back pain, I mean at any point in time, statistics show that 82% of Americans have had low back pain. Right? So- and those things are usually happening because of something like tight hips, no core activation, like no upper back extension, and so on and so forth. Right? I mean there's a number of different things. All of those things can be addressed in a morning ritual that's five to ten minutes. Now obviously this is something that you can do before warmups when you're training as well, but why not do it early in the morning? Like put it this way, the ROI, the return on investment for five to ten minutes of your time in the morning- and you could do- like I'll do it while I'm listening to a podcast, or an audio book, or something like that, so I'm doubling up. Luka Hocevar: Right? And it just makes sense from a standpoint of where we are right now as humans in the 21st century, and we have to kind of like reverse engineer to get back to the better place with our bodies, and our joint health, and everything else. Shawn Stevenson: Yeah, man that's powerful. So you said movement hygiene or mobility hygiene? Luka Hocevar: I'll call it movement hygiene. Shawn Stevenson: I love that. You know, and she was like, 'No, you don't have to floss if you don't eat.' Right? So it's pretty much like you floss because you eat, because you're trying to get food out of your teeth, right? Luka Hocevar: Same thing, like hey listen, you don't have to move like if you don't sit. But we sit every day. Luka Hocevar: The thing is, sitting is not even bad. Like people have made sitting to be like this horrible thing. The truth, we've been sitting for hundreds of years. Longer, right? Luka Hocevar: But- exactly. The problem is that we sit but then we don't move. Luka Hocevar: Right? So the more you sit, the more you should move. Like it's kind of like the flossing thing, right? But I always think about like- I think for brushing your teeth, everybody is like, 'Oh of course, you've got to brush your teeth.' But I want to kind of bring some awareness to things like movement hygiene or sleep hygiene. Right? Which I mean you've addressed that obviously with your great book. Now think about it, right? Whatever you're doing, if your joint health is not good, you're going to build strength on dysfunction. Right? Which for awhile might be fine, but then at a certain point in time that's going to break down. Shawn Stevenson: Yeah, you just said something too about- so when it boils down to it, if you look at biology, and life itself, because it's kind of difficult to define what life is. But if we're talking about strictly from a biological perspective, life is movement. That's when life ceases is when movement ceases. You know? And so it's just like we're acting more dead today, right? We're acting like we're practicing to die, you know? Essentially. And again, sitting is not the problem, it's the fact- it's the habitual sitting and non-movement that go together. And you know, this is the timing- I wanted to have you on the show for this reason. And it's so funny, this movement hygiene is something like- just a few days ago prior to us- I mean this was prior to us getting the show on the schedule, I told my wife, I was like, 'Every day I'm working out twice.' Right? And it just sounded crazy. It sounds crazy for me to say because just for me, it's just I'm like what are the things that are most effective? And I'm very much about recovery, and all those things, but that movement. For me, framing it as like I'm actually training. It's just like you've got to frame it in a way that works for you. Luka Hocevar: It works for you, absolutely. Shawn Stevenson: And so for me, every day having this movement practice is so important because I got caught up, man. Myself personally. And I'm a big provider and teacher for a lot of people, but none of us are perfect, and it was on a recent trip, and I just saw you in L.A., and I'm going back and forth, got these different events, got this media thing over here, and as you know in L.A. you can be in the car a lot. So I was on planes, and then just immediately like- and then at the end of the day I'm just toast, and then sitting in the car in traffic, and like I was out of sorts, man. Like my body does not like to be stagnant like that. And so I started to have little issues with my SI joint. When I got back after another flight, and then another like recovery day, and then more media, and I've made it a dedication like no matter what, I'm going to have to get out of that car. I've got to take care of myself, you know? And it's not even like I've got to pull over to the side of the road and do some Jenga on the side of the road, you know what I'm saying? It's more like building it into the schedule, right? Like, 'Okay when I get here, then I'm going to do this first.' Right? Kind of get myself unglued and organized once I get off the plane, for example. Luka Hocevar: It's a skillset. Like number one, right? Like everything that we talk about, you know I think part of the issue is that people talk about willpower too much. It's not about willpower, it's about skill power, right? It's about skillsets that we build. And so doing that becomes a skillset. Like as you do it often enough, you realize how important it is and it becomes a skill. So even if you have a long day, and you've been working for sixteen hours, for me I'm like, 'Man I've got to get my five to ten minutes at least of loosening up and like working on my mobility drills, and like what's stiff right now?' Right? And as anything, as you do it long enough you obviously- it becomes more engrained neurologically and becomes part of us, right? But you know, to go back to how it started for me. Like about six and a half or seven years ago, I had a horrible back injury. For more nerve entrapment, my leg didn't function, I mean they were talking about surgery. Really bad, we're talking about months could barely walk, and slept on the floor, couldn't sleep. I tried to and I mean just bad, bad, bad all over. And you know, after that, that whole rehab was very, very grueling and tiresome, but I didn't want to go under the knife, and I rehabbed it basically 100%. But if you took an MRI of my back it's pretty shady, but I function perfectly fine, I can lift heavy, all these great things. Now is that the only factor? No, but for sure it's what keeps me healthy. And people are always saying, 'How have you been able to do that?' And it's like little things every day that create the big outcomes. Like small hinges kind of swing big doors. That's kind of my thought process. You don't have to do an hour and a half of this elaborate flexibility mobility training once or twice a week, but it's like if you can start building it into your day five to ten minutes. And I think that really is one of the best things that people can do. And of course I hate to be the person that's like, 'The number one thing...the number one food,' but for the people that we see that start doing that, it makes a significant difference in their lives in every way. I mean one, it just starts your day- if you can plan it into your morning, what ends up happening is people get up a little bit earlier, they do that. I always tell them, 'If you've got kids, do that before the kids get up because you'll be in a better mood, so you won't be- you'll have better energy, you won't be as cranky,' and so on and so forth. Yeah because you do that six days a week, that's an hour a week that you ended up adding. Right? That's four hours a month, and so on and so forth. At the end of the year you have much better joint health, right? Shawn Stevenson: Let's talk about a couple of those. You know, like what are some- as far as like movement flossing basically. Like two or three of these mobility exercises or drills that people should be implementing ideally? Luka Hocevar: Okay, so I mean this is what I'd love to just jump out my chair and just do a whole bunch. Shawn Stevenson: And we could even put- we'll put some links in the show notes for people. Luka Hocevar: Yeah, perfect. Because there's a couple videos I have, I literally go through 33 different ones, and people can pick and choose. You know, I think two of the things that are really important to focus on are obviously the hips and upper back. And when I talk about these things, it's important to think about stiffness, because people think stiffness is a bad thing. But there's good stiffness and bad stiffness. Right? You've got stiffness in the core is good, right? Stiffness in the hips, maybe not so good. So loosening up the hips is for sure a great thing, and so this is actually kind of a drill that combines flexibility and breathing. But imagine a lunge position, but like a Bulgarian split squat where you put your back foot onto either a bench, or a chair, or something elevated. Your knee can be on a pad and your front foot is pretty much in a lunge position. So in that position when you squeeze your glutes, it's going to align your pelvis, right? Because a lot of people are ancillary tilted, have tight hips when you squeeze your glute and your aligned pelvis. Now you engage your core- the key is just to stay really tall. So I always say like think like somebody's pulling you by a string on the crown of your head, right? So your spine gets nice and tall. Now most people will hold that for a time. What I like to do is have people do full exhalations and full inhalation. Now the reason why is because when you fully exhale, when I breathe out until there's no more air in my stomach, what it's doing is like it's bringing my ribcage down, and actually it's activating my rectus abdominis external obliques, like the core muscles without me thinking about it. The other thing it does, because it puts my pelvis in a neutral position, it actually stretches my hip out the way it's supposed to. Because people do stretches sometimes and you go like, 'Oh I'm in this position, like I feel it,' but they're actually not stretching. Right? So their hips might be back, and so I just go for five full breaths. Exhale fully through your mouth and then inhale fully through your nose into the diaphragm. So there's a couple of things we're doing there. Like we're stretching the hips, but we're also working the core. So we're getting rid of some of the bad stiffness and we're creating some good stiffness. Right? And if somebody did that two, three times throughout the day and they have issues with their low back, I mean there's a really good chance you're going to start feeling quite a bit better. Because what are we doing? We're activating glutes, good stiffness. Activating core, good stiffness. Releasing the hip flexor, which is bad stiffness in this case, and then you can make it a little bit better, you can reach up and over to get a little extra stretch. And like that is a great, great, great I would say drill. Another one is a windmill for the upper back which is essentially you're just lying on your side with one knee bent kind of across, so you'd be like this on the floor, and then you reach, and you do a windmill. Shawn Stevenson: Okay, so you're lying on your side, your body is just- everything is on top of each other over your leg. Luka Hocevar: Correct. Yeah so imagine you're lying to the side and you're on top of each other, but this knee will come up, and then kind of fall. Shawn Stevenson: Okay, so the leg that's not on the ground is going to come up. Luka Hocevar: And over, and just kind of lean there. If you can put on a foam roll, even better. You don't have to. So you're looking to the side and you reach out, and then imagine you're trying to put the thumb on the floor and look at it. Shawn Stevenson: So this is the arm that is not touching the floor is reaching out. Luka Hocevar: Correct, the arm that's not touching the floor. It's like going up and across, and you're looking at it so we're working neck mobility and upper back mobility. Right? And same thing, you're sailing as you come across, and then you just come back. And like I said, we'll put some videos in there for drills. And why are we doing that? Because one of the stiffest things is our upper back. Like basically because we stay here, we're locked into flexion, but we want to train that extension and rotation. Right? So our low back is very- if you look at how our vertebrae are put together, our lumbar spine only has about three degrees of rotation, but our upper back, thoracic has eleven. So that means that anatomically we're built to rotate through the upper back and not the low back. So if you have tight hips, if you have a tight upper back, guess where you're going to start rotating from when you throw punches, when you kick a soccer ball, when you're playing tennis, throwing a pitch with your son. Luka Hocevar: Lower back. Right? And that's exactly where you're going to start getting pain, tension, and that's how like discs get blown out, right? Like it's like the best analogy I think for spinal injuries is like this. Give me a credit card, we'll start doing this, it'll be fine until 1,001. Right? So when you create a lot of flexion extension and rotation in the spine, something's going to give and you get disc bulges and disc herniations, and things like that. So this is another way- you know, the things that I'm talking about, like morning mobility rituals, and doing them with intent. This is another thing that's really important. Because you'll see- you know, now on the Internet you get a lot of like, 'Oh here's this flow,' and people are just going. I'm very big on coaching on intent. Not just doing it but how you do it, right? Really coaching things on the sense of fully exhale here, create tension, and so people feel and understand what's going on. I'd rather somebody do three or four exercises and do them really well, than do twelve and it looks cool on camera, but really we're not- we might be even reinforcing bad movement, right? And so that's the key, as just like anything in life. Right? It's not just what you do, it's how you do it. Luka Hocevar: And I think that with fitness, building a solid foundation and with movement building a solid foundation is more about how you do it. And you know, it comes along the same thing with nutrition. Like people sometimes want the most complex strategy, and it's like, 'Hey listen, make sure you get thirty or forty grams of protein with every meal,' right? But it's like- and get really good at that. And now it's like, 'Can you give me like some carb cycling stuff?' Like, no just get really good at this, right? And then when they do it and they own it, like they see really good results. So I think that that's very, very important when you do these drills. Picking two or three and just getting good at them. And to kind of- I'm going to loop it back a little bit, and hopefully this helps out a lot because think about this. The studies show that if you try to change more than three habits at once, the success rate is only about 5%. So you know, if you're a betting man in Vegas, like you're not betting on that period, right? Two habits or more, I think it's in the 30% range. But one is like 85%. Right? So if you know these statistics, and this is over studies done across a long period of time, backed up by a ton of science, right? And like if that's the case, why would you try to take on too much? And this is what happens with every New Year’s resolution, right? People are like, 'You know what? This year I'm going to go all in.' So they're going to do six workouts a week, they're going to go on a low carb diet, they're going to do the detox, they're going to do this, that, and the other. Like that's 1,000 changes at once legitimately, right? So why not pull it back, right? Why not do less and succeed? Because part of when we talk about behavior changes, you know what it is? It's people feeling confident. How do you build confidence? You win. So if I give you something to do and it's massively complex, and you fail, like you feel like a failure. And then the next time around like, 'Okay let's try harder this time, right? More willpower.' We give it to you to do again, and you just don't have the skillset yet so you keep failing, and you start feeling like a failure. After awhile they start feeling confident like, 'Man, I can do this,' and then you can give them more. But once again, if the science- like people think going to sleep earlier is one habit. You're crazy. Shawn Stevenson: It's a lot. Luka Hocevar: Exactly because now you've got to stop watching TV earlier, you've got to change your dinner with the kids earlier, you've got to blah, blah, blah. That's like eleven habits, right? So it's not going to take what they say, 21 days. I mean they're saying- I think you had Michael Hyatt on your show talking about the average habit change takes about 67 days and up to 250 days based on the complexity of it. So why give people something that they're going to fail at? Right? If we're going to the gym, I'd say, 'Listen, Shawn. Let's get you to lift these 600 pounds off the floor.' Man, like what? 'Like right now I can't.' 'Go for it. Go for it,' you know what I mean? And like you could have all the willpower in the world, you're not going to get it up, right? Shawn Stevenson: Come on, man. That's what I'm talking about. See, this goes back to what we started with, with the behavior change. This is like gold right here, what you're sharing with everybody. Straight up gold. So for folks who are in the business of helping other people, please keep this in mind. For everybody, please give yourself permission to do that thing that's too easy. Right? Get that win under your belt. And by the way, speaking of what you talked about earlier with it's a difference with doing something and actually doing it right. Right? It's not just what you do, but how you do it. Right? So everybody poops, man. We've got to talk about this really quickly. It's not just what you do, it's how you do it. And we were talking before the show about the Squatty Potty. Shawn Stevenson: And it's just like there's life before Squatty Potty and life after Squatty Potty. And so do you have the Travel Squatty? Luka Hocevar: I do not have the Travel Squatty. I have the bamboo special edition Squatty. Luka Hocevar: Now I was actually going to ask you before the show, is there a Travel Squatty? Like how efficient is it? Shawn Stevenson: Listen, man. I'm going to get you one sent today. It's my gift to you, the Travel Squatty. You're the most well-traveled man I know, you've got to have one. I travel with it. Man and so if people are wondering what this is, so one of our big issues, again with movement, again with human design, is we're seeing this huge increase in diverticulosis, hemorrhoids, prolapse, organs getting pushed out of place, constipation, colon cancer, which is directly linked to constipation. You know, it's like a 30% increase. And a lot of it's due to trying, pushing, straining on a conventional toilet, when humans are designed- just like if somebody's going camping, they've got to poop in the woods, like we're designed to get in that position. And when you're not fully in a resting squat position, your- we've got this kind of sling around your colon, this puborectalis muscle, and it's kind of like contracted, and it's not fully releasing allowing for you to have a complete bowel movement. And so a lot of people don't even know what that's like unless they have like the 7-Eleven nacho chili and cheese, it's actually explosive. You know? This is from experience, man. I'm going to share this real quick. So I used to go and get the 7-Eleven nacho with chili and cheese. I would take the chips out in the store- because it had the container with the chips in it. I'd take the chips out, put chili and cheese on the bottom, then put the chips on, then put a layer, then put more chips on, put a layer. And so I'd be in so much pain the next day, but why would I keep eating it? Luka Hocevar: But you'd still do it. Shawn Stevenson: Here's the thing, so I was like, 'I'm smart, I'm going to get me a white soda, right? The white soda is supposed to settle your stomach, according to my mom.' And so I'd get this with the 7Up. Man, still it's like why would you do something that hurts you? And this is just like we look for that instant gratification. Right? And so anyways, if you're not doing that, I don't recommend it, alright? That's not a model thing to do. Luka Hocevar: Option B, don't do it. Shawn Stevenson: Just make sure guys, seriously this is something that fits right in, slides in and out on your already existing toilet. All the top people in the health and wellness game are utilizing Squatty Potty, recommending Squatty Potty, because it puts you in the proper anatomical position. You know, but now having the Squatty Potty is just like a total life changer, and it can really, really improve your health. So guys, head over to www.SquattyPotty.com/model. That's www.SquattyPotty.com/model. You get 15% off everything, all the different Squatty Potties. Most of them get free delivery as well, so please do yourself a favor, I promise you you're going to be so happy that you did it. www.SquattyPotty.com/model. Now man, I want to talk to you about- and this is really kind of putting the icing on the cake here. You've got seven different parts to implement into every quality training program. So I want to go through these seven. So let's start with number one. Luka Hocevar: Okay so this is basically called R7, it's easy to remember, and actually a friend of mine, Mike Robertson kind of created this phrase, and I love it. And so imagine that like even when we do group training, when you do your own training session, you should have some of this in there. Now how much of it?? It depends. Maybe you're looking to gain more muscle, or work more on speed, or whatever. Right? So imagine if like you're training session is like a piece of pie, right? Depending on what you're looking to achieve, you're going to have a little bit of a different kind of like slice of pie in there. But number one, the number one R, R7 is called release, right? So that's your soft tissue release. So almost everybody, now how much of that you do, it depends. I try to not have people spend more than five, seven, eight minutes on it. But when somebody comes in and trains, like most people are going to be wound up, right? So there's certain things that you want to release. You know, most of the time that's going to be your quads, glutes, maybe some hamstrings, for sure upper back, lats. Like lats are massively tight for most people, right? So that's your R1 is release, because one, think about this, to go back to what we talked at the beginning, recovery and stress. You know, if anybody's read the book 'Why Zebras Have Ulcers,' which is one of the best books on stress by Sapolsky. And you know, back in the day, like zebras for instance, right? Whenever you have threat coming, so right now if a lion came into the studio, like there's certain things that would happen to you. Like your heartrate would shoot up, your blood pressure would shoot up. You'd actually become more extended, right? Your body would become more extended and your muscles would tone up. It would restrict your range of motion but it would get you ready to fight or flight. Essentially to run as fast as possible or to fight. Shawn Stevenson: Unless you're DJ Khaled. You see the lion, 'Lion.' Yes. Luka Hocevar: Another one. And so in that case, you know, it was made for survival which is great, right? But think about it. Like when the zebra stops running from the lion, if it survives, she's chilling with other zebras like life is good. Stress comes down. Like humans, because we're so conscious, like now we worry about everything, right? So we worry about the kids, and this, and that, and the other. So we're constantly in this fight or flight mode which puts us into I would say like in that whole high heartrate, you know nervous system, CNS is cranked up, fight or flight. So you've got people coming in from work, you're know, you're training, they're extended. They're latched on. They look like even if they're not training, they look like they're posing, right? Like breath is short, they're not breathing normal. So what do we want to do? R1, we're going to release some of that tension in certain muscles. R2 is called a reset. Now reset, there's two things we want to do in a reset. One, we want to get joints in good positions. Right? Aligned. Number two, we want to get the nervous system brought down from that fight or flight to like more neutral, right? To rest and digest, and like that drill that I mentioned earlier, that was a great drill for like when you're resetting. So stretching the hip flexor and breathing out fully, because we want to put our body in the best position to train, because if you come in and you're completely I would say in fight or flight, all tensed up, you don't have ranges of motion, and now we put you into training. That might not be the best scenario. That might be a faster way to get you injured. So we've got R1, release. R2 is the reset. And you know, we can get some links on different exercises to reset. There's a lot of different ways we can do that. Luka Hocevar: It's on all the time. Shawn Stevenson: Yeah, that's it. That's it, yeah. Luka Hocevar: Alright, want to make sure I didn't get it wrong. Shawn Stevenson: So and just keep that in mind, you know? It's more than just like, 'Let me hit the gym and put in this sixty minutes.' That's leading you down- like again, we've got all of these gyms, we've got all of these new inventions, new gadgets, and new training equipment, but if you don't have these foundational pieces you're going to probably hit a wall. Luka Hocevar: And that's why it's so important to- I'll throw this in real quick, but like we teach this thing called the Success Wheel, right? Like where all these different things will help you- like the wheel moves you forward towards your transformation, right? And it's everything from better movement of your joints, building lean body mass and strength, power, conditioning, but then it's also things like obviously nutrition, mindset, stress, relationships, environment. Right? They're all spokes on that wheel to help you move forward because- hey maybe you're in a bunch of environments and relationships that stress you the hell out all the time. Right? Changing those will probably make you eat better, probably make you be less stressed, and so on and so forth. So you know, how do you help somebody that understands a lot of different things but are in environments that are taking them away from their goal? As a coach, I want to address that or help people give tools or create awareness that makes them go like, 'Hm, maybe I should change some of that,' right? So you know, there's a thing, people saw awareness precedes change, which is absolutely true. So some of the best things you can do for people is create awareness. But then an assessment, an assessment creates awareness, and that awareness precedes change. Right? So all these things- like if somebody can become aware of them, that's the first step into helping them change. Shawn Stevenson: So we've got three. We're at three now. Luka Hocevar: We're at three right now. Luka Hocevar: Three is readiness, and readiness is just like imagine that getting somebody ready for their training session. This is actually where you probably do some of the movement drills too. But number one, physiologically you want to get their core temperature up, you want to get somebody ready to train. Right? But then you also want to biomechanically get them ready to train, meaning this is where we do the- 'Hey, we're going to do some sprints. Cool, we'd probably better open up the hips. We'd probably better work on some core. We'd probably better get the nervous system fired up and do some foot fire, or high knees, or whatever it may be.' Right? So readiness is where you add some of these drills in that's going to prepare you for the actual training session that you're going to do. So that's our R3. Luka Hocevar: R4 is reactive. Now people always say, 'Well listen, if my goal is fat loss, why the hell would I need to do anything reactive?' So reactive is things like sprints, med ball throws, Olympic lifts, anywhere where you're going to be explosive and powerful, right? Now we do this stuff with fifty-year olds, sixty-year olds, seventy-year olds. And number one, like one out of three people that fall after fifty years old breaks their hip. One out of three, right? Which means- and the thing is like when you fall, it's not strength, it's power. Are you catching yourself? Are you reacting? Right? So if I can help somebody not break their hip after they're fifty, number one, that's big. Number two, also when you do power drills, it contracts a lot of muscle fibers. Right? Just as much as if you're doing maximal strength training, right? It just has a huge fire rate. Luka Hocevar: And you high five them, and now they're like, 'Man, I can do all these things,' right? So yeah, it's important for athletes but it's important for general population too, in reactivity and things like that, because the number one thing we lose with age is actually not strength, it's power. So those are the things that like people- you think are not that important, but like man, catching yourself, defending yourself, sprinting, running, like stepping off the side of a curb and being able to- the difference between breaking a leg or an ankle, or just having a minor sprain. That's a huge thing. Shawn Stevenson: Yeah, that's crazy man. You know, just the other day- this is a true story, it's probably like two days ago. And my back, you know still getting sorted out from the travel and all this stuff. So you know, I'm getting there. My son, he decides- he just recovered from his broken leg, now he wants to play one-on-one basketball. And you know, full disclosure, I'm never going to let him beat me. And so we were playing around a little bit, and he started like hitting shots. And usually like if I'm just doing basic things, like he's not really going to score on me that much, but now it's looking like, 'Oh man, he might actually win.' So I like turned up the intensity a little bit, and man, so you know I come back, I'm scoring some points, doing some things. And this lady who works at the gym, she's about to teach a class in there I guess, and it was just like so random. She starts putting dumbbells like almost- like probably five feet behind the basketball hoop. And I didn't really see them, and so I come down after hitting a layup, and I literally step on a dumbbell, and like I'm going down. Like you know, just forget about it. But because- like what you're relaying right now, because I fell so gracefully, you know what I'm saying? Like I fell, slid, like I could have turned it into a dance move, you know what I'm saying? Luka Hocevar: You did the Dwayne Wade. Shawn Stevenson: And it just like makes sense because it's just like man, that could have been really messed up, but in many ways I'm prepared for these random things to happen. I'm hearing from you it's training power is one of the things that helps people. Luka Hocevar: Absolutely. I mean things like what is agility? Right? It's the change of center of gravity. You know and there's different ways that we can improve that, but that all fits into reactive. And even our group training, I mean we put it in there- it's almost like we sneak it in there so people work on it. Like even in our warmups and things like that. And you know, our clients become more athletic and they're able to deal with life so much better. You know, and let's be real, look it's just like nutrition. I think that everything has to- nutrition has to do three things. Right? It has to improve body composition, health, and performance. Like those three together, right? If it just does one, then like what are we really doing? Right? And so same thing with training, I think for most people, like general population that come, like they want to feel better, they want to move better, they want to perform better, and look better as well. So we go with that route. Shawn Stevenson: So what's next on the list? Luka Hocevar: So coming back, R5 is resistance, and that's our strength training. Luka Hocevar: And once again, we talked about the pie. You know, are you an athlete that just wants to get stronger and faster and doesn't want to put on weight because of the weight category? We're going to change the way that your resistance training looks like. Somebody wants to put on muscle, somebody wants to lose weight, it's going to be different. But R5 is resistance, and obviously every program needs that, and that's going to be a pretty good chunk of everybody's program. Number six is resilience, and resilience really just means cardio, right? Energy systems training. So you know, we talked about how to- where do you put that? Well I mean for most people's training sessions you're going to put that obviously after strength training. Once again, there's a lot of different energy systems training that you can do, and most people have cardio all wrong. I mean it's- cardio tends to be the thing that people just throw in. Like, 'Oh, we're going to do some cardio.' They don't track it, they don't measure it, they don't understand it because there's different- there's anaerobic alactic, there's anaerobic, there's aerobic power. There's different types of energy systems that you can train that develop different properties that you may want or not want. Now some are great, like for instance people talked about slow steady stay cardio in negative ways in the last years, but it's actually beneficial for recovery- like very beneficial for recovery. So a perfect example, you know we'll give- what a cardio workout could be is somebody that's pretty stiff, we'll have them come in for twenty or thirty minutes, just put a timer of twenty or thirty minutes, give them a sequence of mobility drills, and then we'll just keep doing those for twenty or thirty minutes. And they'll get a sweat going, but guess what? In that timeframe, that was like really low-level cardio. But they'll leave feeling loose and they got some conditioning in, but guess what? It's going to help them recover versus smashed. Right? So that's our R6 is resilience, and then the last one is R7 is recovery. And you know, we talked about how one of the problems is people not recovering enough. So even in the gym, what does a person usually do? Right? They train, they do a finisher, they smash themselves, walk right out the door. So you're in full blown fight, because when you're in training, you're in fight or flight. Your body is like, 'Man I'm in fight or flight. I'm fighting for my life,' right? The body doesn't know that you're lifting a weight, it's just thinking resistance, sprinting, like that's what it's thinking. So when you're done with the training session, most people walk out the door still in fight or flight. Right? Into the car, into traffic, into whatever's going to be going on, right? And what ends up happening is we'll have multiple people there, and they're just like conversing, talking, relaxing, and it brings them into rest and digest, and so now- because the thing is the faster I can help you get into recovery mode, the faster you start recovering. But if you leave on a high, that's not necessarily good because guess what? You're not going to be in recovery mode. Right? So that's R7. Release, reset, readiness, reactive, resistance, resilience, and then recovery. 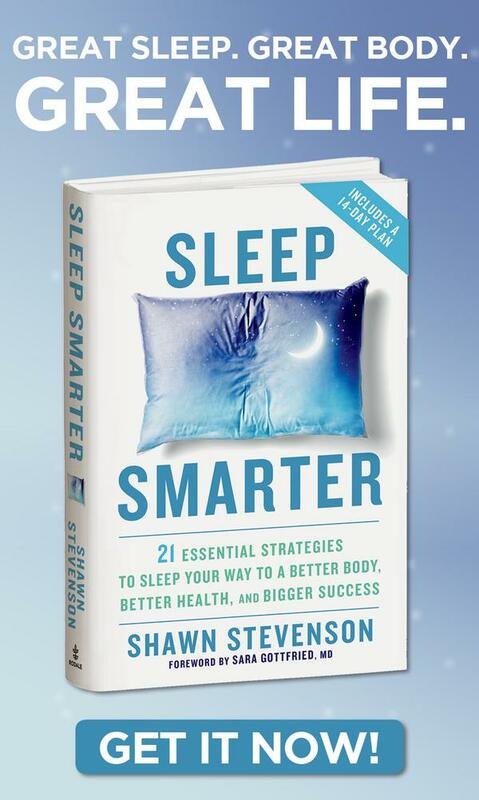 Shawn Stevenson: Super valuable, man. Listen, this is incredibly, incredibly valuable and informative, and man, just thank you so much for sharing it. You know what? I would love if- because your story is so important, I would love if you would share for everybody what do you think are three important character traits that you've had to develop personally to be successful in this field? You know, like you're coming from another country, you're coming from a situation where you were involved in some crime, you're coming from a situation where you're coming to the States and just trying to figure things out, you're coming from a situation where you eventually found your passion, you're coming from a situation where you open a gym in the country that you came from, and then opening a gym here in the US, and connecting with all of these- I mean like some of the most incredible people in the world, and developing yourself into being one of them. Three character traits that you think you've had to develop to get you where you are. Luka Hocevar: That's a tough one, but I think I can knock these out. I would say number one is resilience. I think of like one of the greatest virtues in life is resilience. You know, it's the thing that takes you from pain to strength, do you know what I mean? From I would say challenges to courage. And you know, resilience truly just means taking responsibility for your own life, to be honest with you. But I think if you're resilient then you can overcome anything whether it's physical, emotional pain, all of that. And if you think about how many people get stopped on the way to- let's just call it success, but going from where they are to where they want to go, resilience is the missing factor to get them. Right? Because a certain point in time, you stop, or you quit, or you don't keep going. Number two I would say is probably curiosity. And you can say constant never-ending improvement, but I would just call it curiosity because I'm so curious that I know more than I've ever known and I feel dumber than I ever have. You know what I mean? It's kind of like almost every time I take the red pill from Morpheus and you go down the rabbit hole and you're like, 'Whoa, there's so much here.' And that curiosity keeps me going because I legitimately- I mean I study like massive, massive, massive amounts. Like it's kind of mind-boggling. So that would be number two. And number three, man I would say loyalty, but like loyalty not just to- sometimes people take this the wrong way. Loyalty to yourself and your own vision. You know, and then obviously loyalty to your family, your teams, your tribe. I think that's so massively important man, because you know I've been through enough to where I've messed up a lot of stuff in my life, and when you look back you're like- man, if you take away relationships and people, I'm talking about people that are closest to you, the right people, man if you take that away, do you really have anything? Like you don't have anything. Like all the stuff that we a lot of times seek, it's so that you can share it. You share experiences, you share things, you share food, you share knowledge, you share like all these different things with people. And to me, loyalty is that. Is like to never forget who you are, where you come from. Never forget like what you're striving for, you know? That's loyalty to your own mission and vision. Because so many times, like we change- because things get hard, we change the goal. But it's like, man change the strategy, don't change the goal. You know what I mean? Change the approach, but don't change the goal. If something's really meaningful for you, so have loyalty to that, and then all the right people that surround you. You know what I mean? Like I think that's massively important. Shawn Stevenson: Oh man, super powerful, man. Listen, one final question, man. What is the model that you're here to set with how you live your life personally? Luka Hocevar: Man, that's a tough question. Okay, like let's put it this way. Okay, I feel like life is like- like seriously, and everybody will understand the video game analogy. I think that life is like a game, and that our purpose in life is to be the best damn player ever. You know what I mean? Like to get the best as a player. So I think that there's different areas of life, and like we're always just working to become a better player at the game, right? For me, obviously my vehicle is fitness. Now that's almost like the megaphone, but once you come in through the door, like you understand it's all a puzzle piece. It's funny that you said that at the beginning, right? But everybody's got their own puzzle piece that they're building. Man, the thing that I'm great at is putting the puzzles together, because there's a lot of things that help. You know? So for me, I want to help people put their puzzle pieces together to make their own extraordinary life, right? And like I said, my megaphone is fitness, but there's a lot of different puzzle pieces to that. So hopefully that answered the question, I could have been completely off. Shawn Stevenson: I love it, man. No, no man, this is just super enlightening, man. I love talking with you. You know, we could do this for hours. Shawn Stevenson: You know? And man, I just really, really respect your hustle, I respect your non-hustle, and the recovery, and I respect the fact that like you've created something that didn't exist before, man, with your gym, and your community, the way that you handle your business, man. The way that you teach is just all just really refreshing, man. Who's this guy? And of course you were right there to assist and to answer questions, man. And ever since man, we've been cool. So thank you so much, bro. Shawn Stevenson: Can you let everybody know where they can connect with you online and also let them know about your gym. Luka Hocevar: Oh man, so my gym is in Seattle- well actually it's in Renton, it's about ten minutes from downtown Seattle. It's called Vigor Round Fitness and Performance. The site, you can check it out, is www.VigorGroundFitness.com. And then you can find me on social media, man. I'm on Instagram, Luka Hocevar. That's where I'm the most active. Vigor Ground has a Facebook page that's very active, and I put out a ton of videos. So like the mobility stuff, putting out a lot of videos about that. You can also go to YouTube and just put in my name. There's a whole channel, there's hundreds of videos there. Some date back ten years, I started this a long time ago. But you'll definitely get ideas, but hit me up, like I love to kind of share any resources that you might be looking for. Shawn Stevenson: Perfect, man. I appreciate you immensely, bro. Shawn Stevenson: Thank you. Everybody, thank you so much for tuning into the show today. I hope you got a lot of value out of this. You know, I think one of my big takeaways today is this movement hygiene idea. And I don't think it's an accident in the slightest that before I talked with Luka about doing this episode, I made that decision like about working out- for me it's just like this is an additional workout, and I really need this. So even the days that I don't train, lift heavy, that kind of thing, still having my movement practice, you know? My movement workout. And this is different from stretching, please keep that in mind again. It's not the same thing. This is really just working on movement, working on your mobility, your ability to become more physically literate and use your body within space. Right? And working on those muscle imbalances because chances are you've got them, alright? I know I definitely still do, I've got some things that I'm working on as well. It's just that constant never-ending improvement, like Luka talked about. You know there's always another level, and you know these things are essential today, especially the amount of time that we spend sitting in chairs, sitting in car seats, sitting in restaurants, like we're about to do because I've got to get him some good St. Louis food. But the bottom line is we've got to have this counter balance, you know? Something to really ensure that we're able to utilize our bodies, these great gift that we have, in the way that they're designed to be used. Alright? Because no matter where you are right now, you can improve, you can get to another level, and I just want you to keep that in mind. So if you got a lot of value out of this, make sure to share it out on social media, and of course you can tag me. Instagram, Facebook, Twitter, all that good stuff. And I'll put Luka's information in the show notes for you as well. We've got some incredible guests and show topics coming up. I can't even believe how crazy it's about to get, guys. So make sure to stay tuned, alright? Have a great day, I appreciate you immensely. Take care, and I'll talk with you soon. Phenomenal episode as always. Just started my daily movement ritual. Thank you! This episode really put a lot into perspective. There is one thing I’m interested in learning more about, the psychological and behavioral change thast was mentioned. Do you recommend and books for that or is seeking professional help the best route? Thank you! Can’t find the travel squatty potty online. Do you have a link? Love your frkn podcast. This one was immensely informative and helpful!